The evaluations are starting go crazy. Blame Rupert Murdoch for paying US$580 million for Myspace.com back in July 2005. Or blame Google investors for blowing that stock through the roof. Now, Facebook is being touted for a US$1 billion. So, got some spare change and want to check out what’s hot? Russell Beattie sums it nicely. 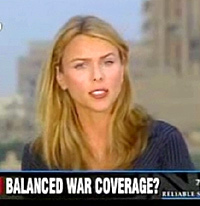 CBS News’ Lara Logan, her voice cracking, tells it like it is on CNN. Come on, now they want to take on journalists in Iraq for reporting ‘negative stories’? Hmmm Google buys Writely, a web-based word processor. One wonders what next. Others speculate an Office Suite. wikiCalc or Numsum for Excel? Why not just buy Thinkfree or make OpenOffice, OpenOffice Live? BlackBerry users can heave a collective sigh of relief. 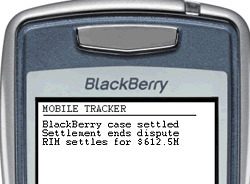 The case has finally been settled after prodding from Judge James R. Spencer who expressed impatience with RIM.